Plastic surgeons are seeing a spike in people getting second nose jobs after being unsatisfied with their previous operation. They say many patients return to their offices seeking a rhinoplasty to fix a new or uncorrected defect – almost the same reasons for why they had their first surgery. Some have functional reasons due to botched operations, such as their nasal valve collapsing leaving them unable to breathe or their nose becoming crooked. 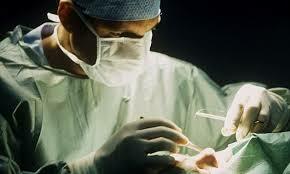 But surgeons say a surprising number are requesting procedures due to a mix of correcting procedures they got because they were trends a long time ago and influence from celebrities and social media. According to the American Academy of Facial Plastic and Reconstructive Surgery, 94 percent of surgeons performed a revision in 2018. ‘The number of consults I see for revision rhinoplasties has at least tripled over the last five years,’ Dr Deepak Dugar, a board-certified plastic surgeon in Beverly Hills, California, told DailyMail.com. Dr Dugar and his colleagues, who are fielding more and more clients, warn that getting a revision rhinoplasty could potentially send patients down a spiral of wanting more and more surgeries to reach an unattainable perfection.